Jaq: It's almost time! Kittens are being born all over. We can't wait to get a new litter of students. The mama is hoping to get a call any day. 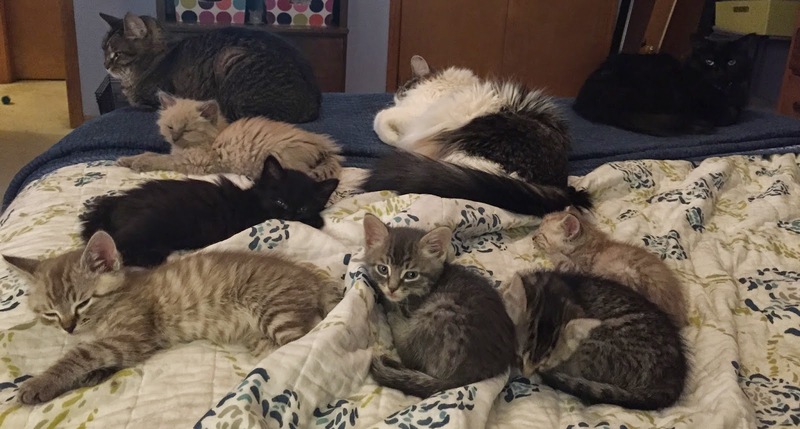 Since it is Throwback Thursday and you might be going into kitten withdrawal like our mama, we thought we would show a picture of some of our graduates.